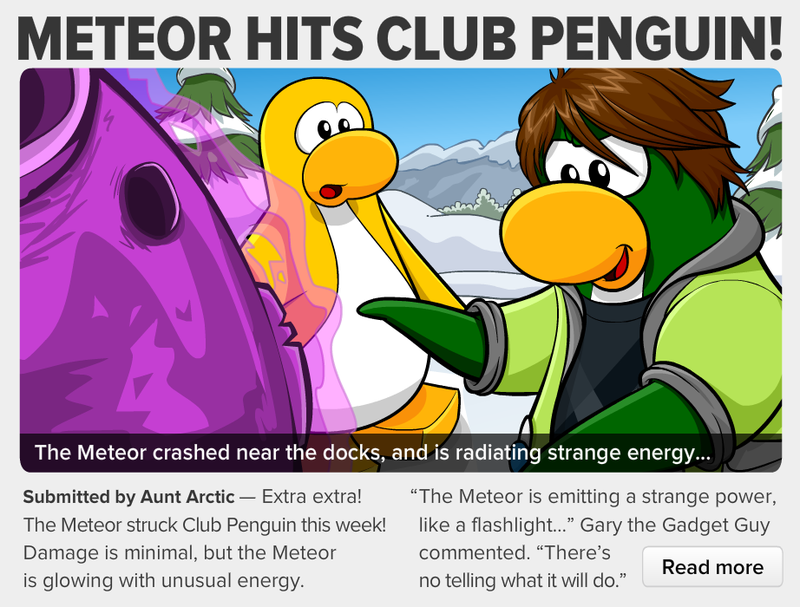 Aunt Arctic and her friends have finished the newspaper and today they released a new one! Below is the main story. 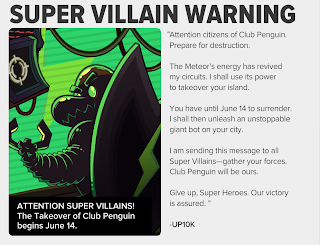 The second story is to beware of Super Villains! Set up your own city to protect... or takeover! 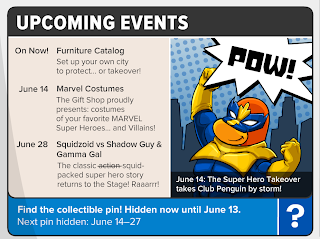 The Gift Shop proudly presents: costumes of your favourite MARVEL Super Heroes... and Villians! The classic action squid-packed super hero story returns to the stage! Raaarrr! 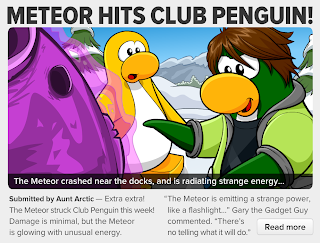 In the first picture the penguin is going to touch the meteor! That's not a good idea! If a meteor landed in your back garden what would you do? Leave a comment and let us know!